A book for a different breed of business leader, one who looks beyond the moment to create a life of significance. Most of us are familiar with the traditional way of looking at legacy―something preserved in the past. Traditional legacy is all around us, evidenced by the steady churn of autobiographies, bequests, commemorations, and dedications we are forever leaving in our collective cultural wake. This is not the legacy you will find in this book. 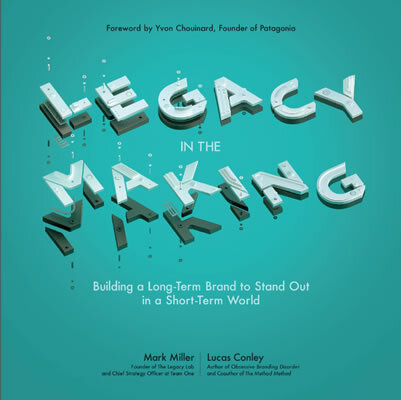 Legacy in the Making celebrates an active, dynamic form of “modern legacy,” seen through the eyes of a select group of extraordinary men and women who are pursuing their enduring ambitions in the age of now. More than caretakers of the past, these modern legacy builders are also the authors of a vital today and tomorrow. Rather than leaving their legacies behind them, they are looking ahead to harness their long-term ambitions and inspire others to help carry them forward. These are not static, traditional legacies. These are legacies in the making.